Hospitals, schools, and social service institutions are on the front lines of Pennsylvania’s opioid epidemic, but what about parks? That was a question at the center of the latest PA Urban Parks & Recreation Exchange on June 13. 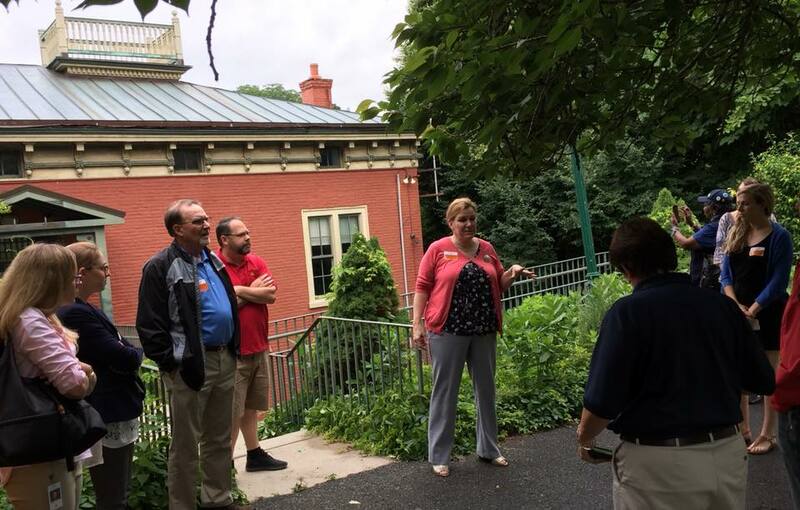 It was held in Reading, and co-hosted by the Pennsylvania Urban Parks & Recreation Alliance — an organization founded by the Pennsylvania Recreation and Park Society (PRPS) — and the Reading Recreation Commission. The Commonwealth can use all the help it can get right now: In January 2018, Governor Tom Wolf officially recognized the heroin and opioid epidemic as a statewide disaster emergency, the first declaration of its kind for a public health issue in Pennsylvania. Exchange speakers — including Berks County Chief Detective Michael J. Gombar (a Reading native and 15-year veteran of the local district attorney’s office) and Philadelphia Parks & Recreation Deputy Commissioner Orlando Rendon — emphasized the seriousness of the problem. Gombar, whose officers collaborate with both FBI and DEA agents on-site in Reading, called the opioid crisis “by far the most challenging and dangerous” problem he has faced in his career. According to a 2017 report from the Philadelphia Department of Public Health, the city recorded 907 deaths from drug overdoses the previous year; opioids were found in more than 80 percent of those deaths. Philly now averages 40 uses of Narcan per day, says Rendon. (Narcan is a brand name of the drug Naloxone, which when administered at the site of an opioid overdose, can reverse the often-fatal symptoms). According to Gombar, Berks County officers saved 70 lives in 2017 by carrying Narcan. Since parks are open to all residents, they naturally attract drug activity, and park agencies are learning how to cope with and even prevent the problem. The crisis touches all parks and recreation departments, urban and suburban, explains Jason Lang, director of East Goshen Township Parks and Recreation, who is also the chairman of PRPS’s recently launched Opioid Task Force. According to Rendon, rates of drug use in park spaces have been rising in recent years due to many factors. 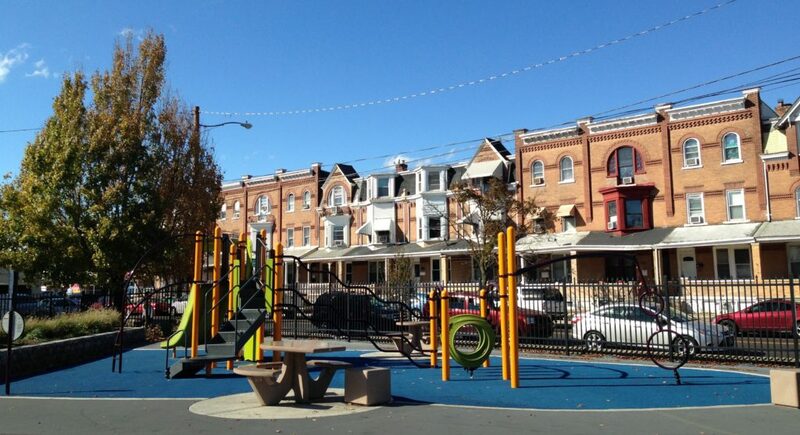 It’s now common for people to sell and use drugs on playgrounds in Philadelphia because “the need is so great” for people suffering addiction: They use openly, whereas before the problem may have been less visible. Removal of large encampments of people experiencing homelessness has the unintended consequence of pushing drug dealers and users into playgrounds, parks, and recreation centers. There’s “a misperception that this is only a law enforcement issue. It’s not,” he adds. “We cannot arrest our way out of this problem,” seconds Gombar. 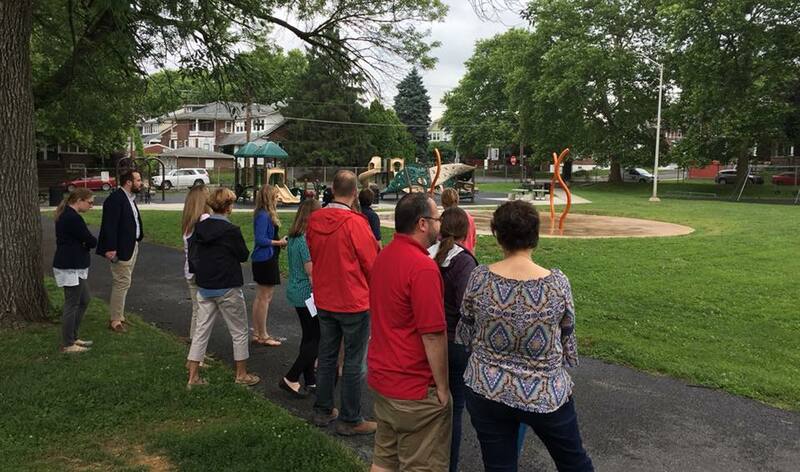 That’s part of what brought Pennsylvania parks and rec professionals from across the state to Reading in June. Reading Recreation’s Lauren McCormick, a camp counselor for kids ages 6-8, was also listening. A Reading-High graduate who’s been working with Reading Rec since last year, she’s seen crisis up close, including a friend who was college-bound before addiction took hold. “It’s scary, because you don’t want any of the kids getting ahold of this stuff,” she said of her work on the playground. Dangerous residue from drugs like Fentanyl (often mixed with heroin) and paraphernalia like needles endanger the public and park staffers; used needles can transmit blood-borne pathogens such as Hepatitis B and C, and HIV. 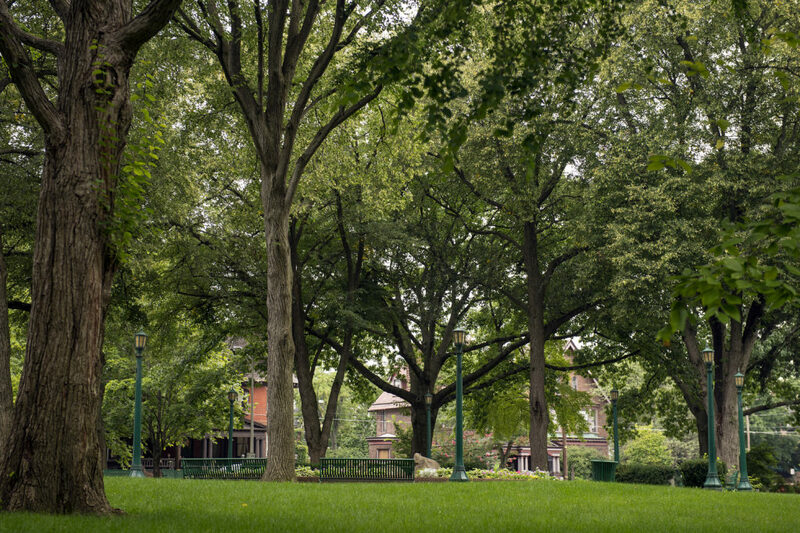 Park maintenance professionals in Philadelphia get special training on how to handle these risks, along with gear such as extendable mechanical grippers and needle-proof aprons, gloves, and trash bags. Park professionals can do a lot of basic things to cut down on drug use in outdoor public spaces, argued Reading Recreation Executive Director Daphne Klahr, also in attendance. Staffers can ensure clear lines of sight, maintain lighting, raise the canopies of trees, and make sure bushes aren’t blocking park trails — all measures that discourage drug users. She urged her colleagues to team up with police officers for assessments of park grounds. Lang adds that timed locking systems for park facilities (like bathrooms) are crucial: Doors that automatically lock at dusk — with an inside lever in case of a mishap — keep drug use out of these spaces overnight. Methods to develop public awareness around the problem are still in their infancy, but Rendon and Lang both hope that signage and other educational campaigns can help. But there are a lot of questions to answer: What can agencies put on the signs? What information is most useful? What languages should be employed? What resources should be displayed? Because stopping drug use within parks isn’t the only role these spaces can play in combatting the crisis. Lang and PRPS believes parks-and-recreation organizations have an important role to play in addiction recovery because they’re already positioned as leaders in promoting health. People re-entering communities from recovery centers may be particularly vulnerable, as intensive support structures fall away. Park programming can step in with activities such as trail-running and kickball teams, building new physical habits as well as healthy new social networks and good self-esteem, keeping people on the path to recovery. Prevention is a natural fit, too, especially with programming targeting youth ages 12-18. Teens can find safe, productive ways to spend their time, build their self-worth, identify and practice new skills, and find good role models within local parks — all of which helps tackle drug abuse at its roots. With the state — and the country — facing such a complex challenge, events like the June Exchange have an important role to plan in sharing and developing best practices.